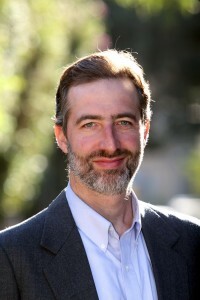 An interview with Saul Singer who in 2009 published the book “Startup Nation”, about the challenges Israel is facing as a global innovation leader. 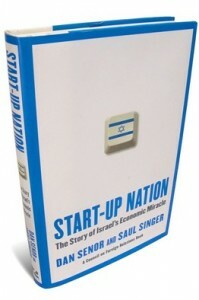 In 2009, Saul Singer wrote, along with Dan Senor, a book that tells the story of the transformation of Israel from being a nation that struggles to survive with very limited economic growth engines, into a global innovation center – second only to the Silicon Valley. In the book, Shaul recounted the processes this young country was going through, and analyzed the reasons for its success in this area – the technological military units that provide the industry with qualified and experienced professionals; The Israeli culture, which contains an ongoing need to challenge and question the status quo; And the recognition that these Israeli qualities receive by the government, while supporting the economy in this direction by providing incentives for entrepreneurs and capitals to invest in them. The book made waves around the world, sold millions of copies and been translated into many languages, so there is no dispute that Israel is now a role model in technological innovation, almost like the Silicon Valley in California, USA. Today, five years after the publication of the book, we talked with Saul about the challenges Israel is about to face if it wants to keep on being a startup nation. His answers, some of which were very surprising, less revolved around the need for Israel to lead in terms of technology, but focused on matters apparently not directly related to innovation – the importance of examining the non-american markets in which he believes many opportunities lie for Israeli entrepreneurs, and the importance of Reducing the gap between the engine of growth, i.e the hi-tech sector, and the more traditional sectors, in which Israel lags behind many countries in the world. Idan – What challenges will the Israeli industry have to face while it develops and sustains its position as a leader in global innovation and entrepreneurship? Saul – The main question that is being asked on this matter is why Israel has only startups? Why are there no giant Israeli companies such as Google and Facebook? And although this is an interesting question, I think that at this point in time we have a different, more important question to ask. Israel has about 4,000 startups, its venture capital per capita is 2.5 times greater than the U.S. and 30 times greater than Europe, and its ecosystem is getting stronger and more mature. This actually makes Israel the largest innovation ecosystem outside of Silicon Valley. In the last 5 years startups appear around the world, in some places even the local residents are not aware of the presence of start-ups in their country. Some countries also try to become Startup Nations. As Israeli entrepreneurs, our opportunity is to find how to connect with these initiatives. So the question we need to ask ourselves is – what role we can we play in this worldwide network of entrepreneurship and innovation? Idan – So you think we should devote more resources to connect with these entrepreneurial centers around the world? Saul – We have created a highway, so to speak, between Israel and Silicon Valley, between Israel and the U.S. market. Israeli companies’ go to market tends to be the U.S. market, and they tend open their offices in New-York or in the Silicon Valley, and it has become the norm. This highway has been helpful for us and we relied on it so far – but it is not enough anymore, and it better not remain our main path in the future. This is because the so-called “emerging” markets around the world are larger and they grow faster than the U.S. market, and all the problems that we solve for the U.S. market also exist outside of it. It’s also rather strange situation that we are in, since the U.S. market is the only market that we have to compete on, head-to-head with the Silicon Valley. So yes, we should take the opportunity that await us outside the United States. Idan – We talk about the opportunities that await the state of Israel and the world. Countries that has a need for Israeli innovation and can become new markets for Israeli entrepreneurs, but as every Israeli knows, and as you mentioned in your book, the hi-tech is just a small part from a variety of industries in Israel. Other sectors in Israel are considered less prestigious, employees receive lower wages, which in effect expands the gaps in the Israeli society. How these gaps may affect the future of Israel as a global leader in technology and innovation? Saul – Yes indeed, we did mention this topic in our book, and it is certainly an important one. We have basically two economies in Israel – the high-tech, and everything else. That is a crucial problem. The thing we should do first of all is stop the distinction between the high-tech sector and low-tech sectors. This distinction goes away. In order to thrive, technological elements should be integrated in every part of our industry. In fact, the integration of technology in traditional industries makes a great opportunity, of which many startups already take advantage. Instead of taking the high-tech sector as something that creates gaps, we should try to bring the rest of the industry closer to this sector. We should note that in general, the hi-tech sector (in Israel) enjoys low taxes, little regulation and a highly competitive environment. The rest of the economy deals with high taxes, lots of regulation and little competition. Therefore, I’m not surprised that the rest of the economy doesn’t reach similar results as those of the hi-tech sector. Improving our education system and our human capital will bring amazing results in all the sectors. We should learn from the success of hi-tech economy and apply to the rest of the economy. These two things are crucial in my opinion. Idan – It reminds me that in your book, you mentioned the “Yozma” (enterprise) fund as something that helped kick-start the hi-tech sector in Israel, by providing incentives for investors that invest in Israeli companies. Maybe we should use this model and apply it to other industries in the economy? Saul – Yes, sometimes there is room for such initiatives. The “Yozma” fund was not an attempt to replace the private sector, but rather a way to bring the private sector to invest in Israeli businesses when there was no capital available in Israel at all. The fund did an excellent job in attracting local and international investors. In this case, the government as a catalyst may well be very important, but I think there are things that can be done without spending any money at all, as removing barriers that prevent people from initiating their own ventures in Israel. For example, it is more difficult to open a restaurant in Israel than to establish a hi-tech company. We are paying a heavy price because of this bureaucracy, and it costs nothing to remove it. This is not about investment of millions of shekels, it’s just a matter of removing barriers. In the hi-tech sector there are no such barriers. So the first thing I’d do is remove those barriers that are there in the first place because of the government. Idan – It’s interesting that you mention the fact that it’s so hard to establish a restaurant in Israel, because only a few weeks ago our minister of economy noted that the study done by his office, in which they revealed that small businesses create more jobs than big and well-based businesses. So maybe we should stop chasing after technology giants like Intel, and focus on small business? Saul – Well, I think that Bennett is right. Many studies have already proven that small businesses, not just start-ups, but small and medium businesses – specifically medium-sized businesses that have already passed the stage of the startup and grow rapidly, such companies are the biggest source of new jobs. We need to focus a lot of efforts to comprehend how we can make the establishment and growth of such companies become easier, and again – it is less a question of access to capital, although it probably also can improve a few things, but this is mainly a question of tax breaks and less regulation. There are creterions by which one can measure how hard it is to start a business in a particular place, whether it takes a few days, a few months, international indices of the level of bureaucracy – and we are not well placed in these indices. There are many existing models including those in Estonia and England, who made major improvements by using online government services that made them much more accessible. Idan – Before we wrap this up, I can’t let you go without sharing with us your future plans to publish another book. 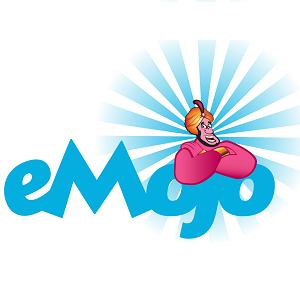 Do you have such plans and will it be a continuation to The Startup Nation? Saul – Dan and I are getting to think about our next book, we’re at the very early stages of this now and I can just say that it won’t be Startup Nation 2, a sequel to Startup Nation, it will be a different book, also about business but more global, though there will be connections to Startup Nation, Israel will be a part of the story, no doubt. There are other things going on with Startup Nation – we’re working on a movie, that I’m not sure when it’s going to come out, and we keep getting requests for more translations for more languges, so Startup Nation keeps rolling on.